Jess Morgan | The Goose Is Out! Recorded with musical friends and collaborators in Bergen, Norway, Jess self-released her debut album, ‘All Swell’, to notable acclaim in 2010. 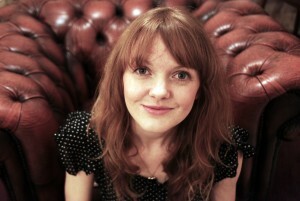 Funded by Fans and the centrepiece of a Pledge Music Campaign, Jess released her second album ‘Aye Me’ in the Spring of 2012. ‘Aye Me’ was quickly championed by DJs from BBC Radio 2, Folk Radio UK and BBC Wales. The album’s launch was celebrated with a sold out show in Jess’s home-town of Norwich and was backed up by a UK headline tour and a support tour with Paper Aeroplanes. Jess had just independently released her ‘Richer Thinner Smarter’ EP which is a collection of songs recorded live in a one-mic-one-take fashion at locations close to her home in east Norfolk. The EP showcases 4 new tracks and 3 new and raw recordings of favourite tracks from ‘Aye Me.’ The EP was launched at Norwich Arts Centre followed by a 34 date release tour in the UK. The record was also quickly championed by BBC 2′s Steve Lamacq. In 2013 Jess toured throughout the UK, Italy, Germany and Norway and appeared at a number of summer festivals including Cambridge Folk Festival and Greenbelt Festival. Click here to go to Jess Morgan’s website!